Willow Cottage at Augill Beck Park in Brough, near Kirkby Stephen, Cumbria sleeps 4 people. Augill Beck Park near Kirkby Stephen; Willow Cottage is situated in the upper Eden Valley nestling between Appleby and Kirkby Stephen at the foot of the Cumbrian Pennines, and conveniently located adjacent to and just off the trans-Pennine trunk road (A66). This makes the location an excellent touring base for exploring the Yorkshire and Durham Dales to the east, and the Lake District National Park to the west. This is a wonderful base for those who enjoy outdoor pursuits. Less than a mile away, main roads give access to the myriad attractions and stunning landscapes of the Lake District National Park, Yorkshire Dales and County Durham, and the shops, pubs and restaurants of Brough are also only 1 mile away. The larger town of Kirkby Stephen, 5 miles, has a supermarket and variety of gift shops, cafés, a tourist information office, library and station for the Carlisle/Settle railway. The shop, pub and restaurant are all 1 mile from Augill Beck Park near Kirkby Stephen. Willow Cottage can be booked together with The Beeches (ref UK11126 [The Beeches]), The Pines (ref UK11127 [The Pines]), Holly’s Lodge (ref E4072 [Holly's Lodge]), The Elms (ref E4306 [The Elms]), Hazel Cottage (ref E4786 [Hazel Cottage]) and Sycamore View (ref E5123 [Sycamore View]) to sleep up to 34 people. Willow Cottage is all on the ground floor. Living area: With electric fire, 40 Freeview TV and DVD player. Gas central heating, gas, electricity, bed linen and towels included. Wi-Fi at cost. Travel cot and highchair available on request. Welcome pack. Enclosed decked area. 15-acre natural grounds with children’s play area (shared with other properties on-site). Private parking for 2 cars. No smoking. Please note: There is an unfenced pond in the grounds. Holidays at Willow Cottage, Augill Beck Park run from Saturday to Saturday. Pets allowed at Augill Beck Park - Willow Cottage. For a better idea of where Augill Beck Park - Willow Cottage is, you can see Augill Beck Park - Willow Cottage on the map below. 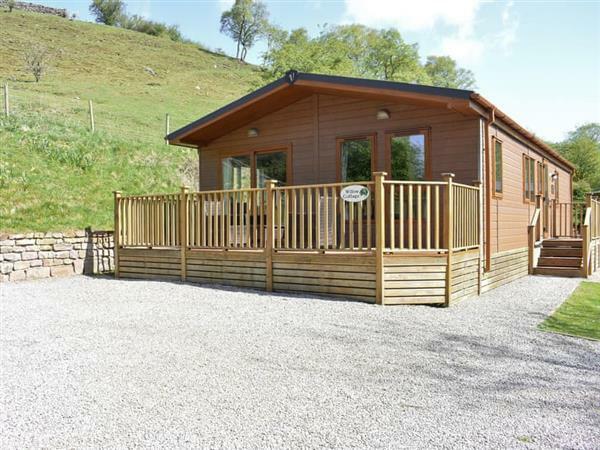 Augill Beck Park - Willow Cottage is in Cumbria; should you be on the lookout for a special offer, you can find all the special offers in Cumbria. It's always worth checking to see what is on offer at the moment. Do you want to holiday near Augill Beck Park - Willow Cottage (UK11128), you can see other cottages within 25 miles of Augill Beck Park - Willow Cottage; have a look to find your perfect holiday location.